The majority of dogs and cats these days are born retired. 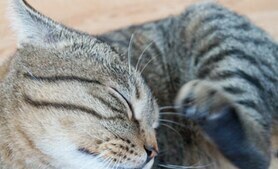 Forget working to round up sheep or chase mice, our pets live in homes where nothing is expected of them except companionship. 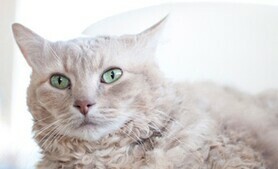 It may seem as if our pets have it made, but without something to do pets get bored, lonely, and destructive, and sedentary pets get obese and sick. But it doesn’t have to be that way. 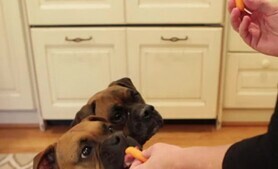 There’s an easy answer for your pet to be more fit and less bored: food puzzles. Food puzzles, or enrichment toys, come in many shapes, sizes, and prices. You can even make your own. What they all have in common is that they require an animal to exercise his mind and body before being rewarded with a small bit of food. This cuts into the time he could be getting into trouble and helps him maintain a healthy weight. Food puzzles can be super simple or very sophisticated. Here are some that are often recommended by pet-care experts. 1. Homemade Challenge - simple scattering technique. 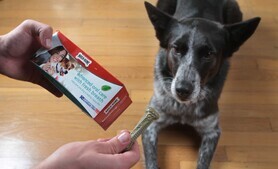 This is easiest way to make your pet work for dinner, and it’s one I use with my own dogs. 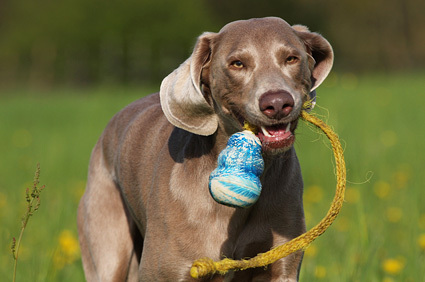 Take your dog’s kibble and scatter it in the grass, then let her use her nose to find it. For our barn cats, I separate their meals into tiny portions and hiding the bowls in places where they’ll have to climb and jump to find them. 3. Other Toys for canine Einsteins. Among the leaders in the enrichment movement (and in offering products designed by top trainers and behaviorists) is Premier. The company’s Busy Buddy line is one my pets love. 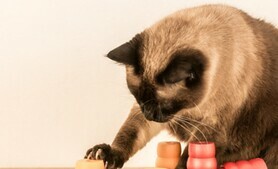 And Sweden’s Nina Ottosson designs puzzles that really put a pet’s mind to the test. She makes interactive toys and treat puzzles for dogs, cats, and other animals, including those that require pets to move blocks, spin discs, and work through layers. Ottosson's toys used to be hard to find, but they're easy to find online and in boutique pet-stores -- even Amazon carries them now. What Pets Are They Best For? Not all pets are equally proficient at food puzzles. Take my two “grandpugs,” Willy and Bruce. Bruce rips through the layers of the Ottosson Tornado and then looks up to see what the next challenge will be. Willy, on the other hand, is still figuring out that there may be food inside. Either way, the dogs are entertained and so are we. 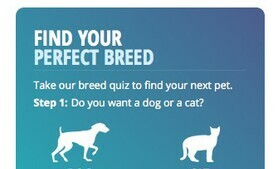 Will your pet ace the test? Go to your local pet retailer to check out the latest in food puzzles or just use your imagination (and some kibble) to get started. 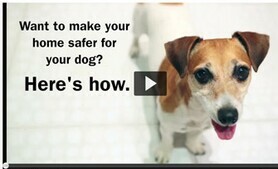 A happier, healthier pet will soon be yours.